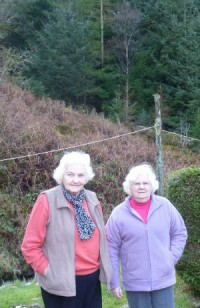 Marjorie and Muriel are sisters, born in 1929 and 1932 respectively, who have lived in the Thornthwaite area most of their lives. They have witnessed tremendous changes in the Whinlatter area due to the drainage and afforestation programmes there and recall the wildlife and flora of the region before the forests grew up. 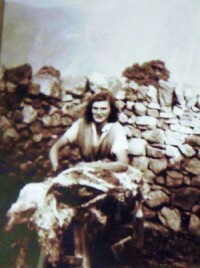 Margaret Annie Gass was born in 1929 at The Murt, where her parents farmed in Wasdale. They moved to The Ghyll farm when Margaret was 11. 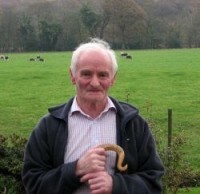 Maurice was born in 1941 and brought up on a dairy farm in Corney, near Bootle in the south west of Cumbria. When he married in the early 1960s he moved to a Forestry Commission farm in the Eskdale area where he kept sheep and cattle. He lived there until his retirement a few years ago, he still keeps an interest as the farm was taken over by his son. Mike Carrier was born in 1934. He moved to Cumbria in 1964 and spent his working life as a railway man.